Long-standing relationship with San Jose-based pediatric group leads to partnership. HOLLISTER, Calif.–October 16, 2018: Hazel Hawkins Memorial Hospital (HHMH) announced this week the finalization of a partnership with Pediatrix Medical Group of California, a MEDNAX affiliate that also provides services to Good Samaritan Hospital in San Jose. Pediatric hospitalists from Pediatrix will begin supporting women’s and children’s services at HHMH as early as February 2019. Pediatrix and HHMH will work together to establish a premier pediatric hospitalist program in Hollister, increasing community access to top-quality pediatric care. Pediatrix will provide highly trained hospital-based pediatric hospitalists to assist with high-risk newborn deliveries, help determine when a newborn requires transport out for critical care, and support the care of well newborns in the nursery, as well as inpatient children and teens. Pediatric hospitalists will also be on hand to provide onsite consultative services to attending medical staff and ER physicians and to help stabilize patients in emergency situations. Pediatrix provides the same spectrum of pediatric services to Good Samarian Hospital in San Jose and to several other South Bay hospitals. Dr. Richard Powers, MEDNAX-affiliated neonatologist and Chief of Staff at Good Samaritan Hospital, will serve as the liaison between Good Samaritan and HHMH and facilitate recruitment and staffing of pediatric hospitalists in Hollister. 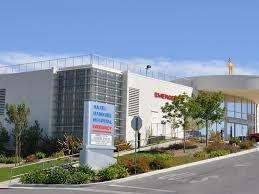 MEDNAX Inc. is a national health solutions partner comprised of the nation’s leading providers of physician services. Pediatrix Medical Group, A MEDNAX company, is the nation’s largest provider of prenatal, neonatal and pediatric services, delivering comprehensive, customized health solutions designed to enhance the patient experience.